The total count of online US oil rigs fell by 7 to 330 this week, according to drilling giant Baker Hughes. In the last few weeks, we saw something of a comeback in the oil-rig tally relative to its recent trend. 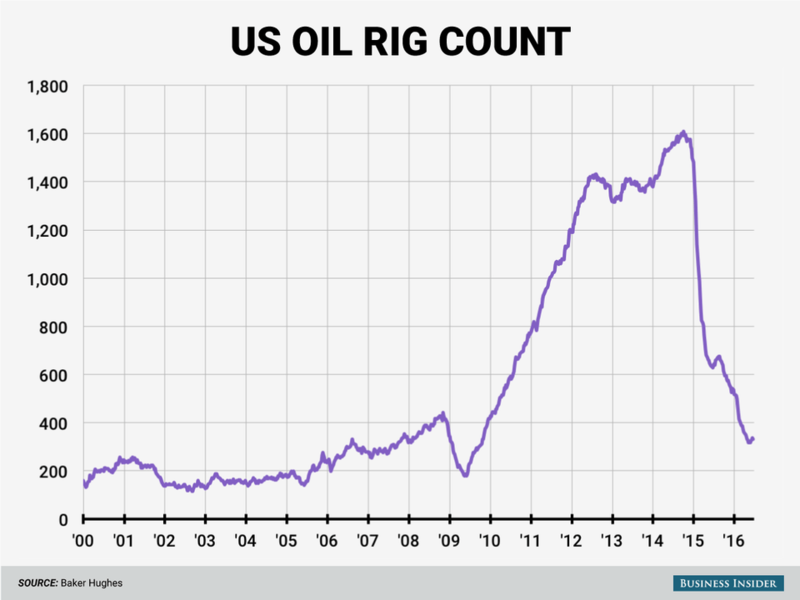 The oil rig count rose last week for a third straight period — the longest streak since August 2015 — by 9. Some producers brought rigs back online as crude oil rallied and crossed $50 per barrel. 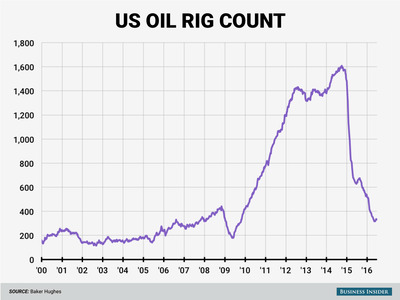 But this week, the oil rig count fell by the most in six weeks. The gas rig count rose by 4 to 90, taking the total down 3 to 421. On Friday, crude oil was getting clobbered with the rest of the global financial markets following Britain’s unexpected vote to leave the European Union. West Texas Intermediate crude futures in New York fell 4.7% to $47.77 following the rig-count data release.